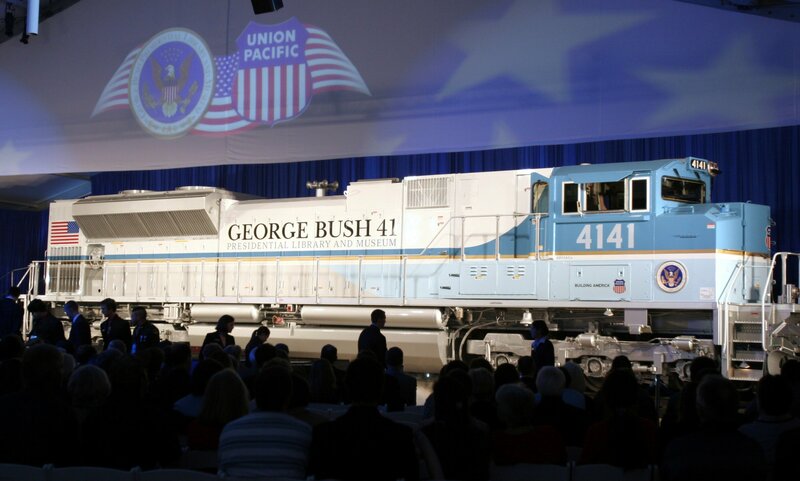 FILE - In this Oct. 18, 2005, file photo, a new locomotive numbered 4141 in honor of the 41st president, George H.W. Bush, is unveiled at Texas A&M University in College Station, Texas. Photo via AP/Pat Sullivan. 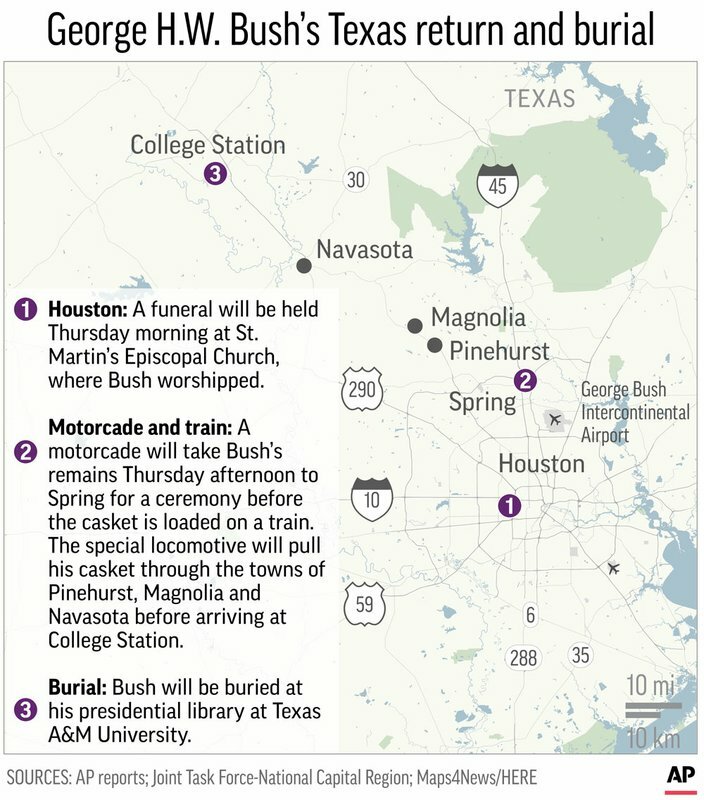 The funeral train has been part of the official planningfor his death for years, Bush spokesman Jim McGrath said.